Relax on the elevated viewing deck perched directly above an active waterhole – at Ezulwini Billy’s Lodge the game comes to you! 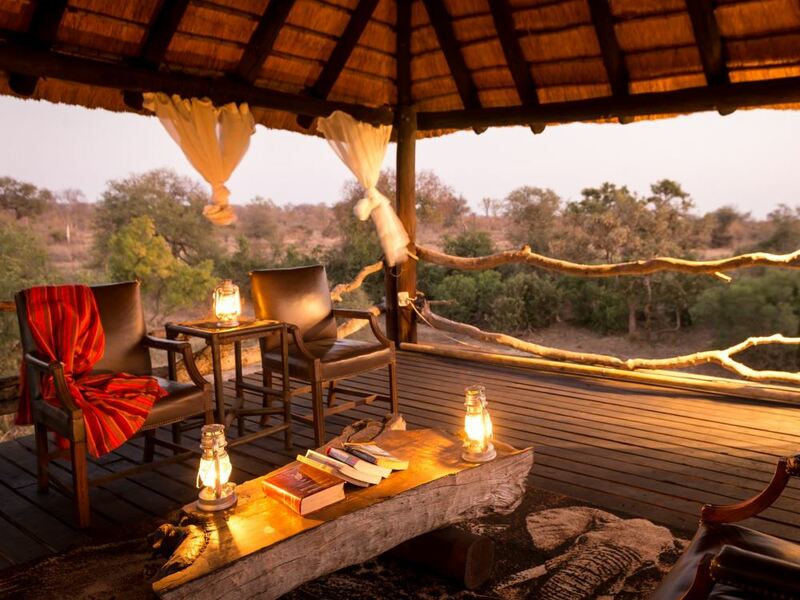 The standout feature at Billy’s Lodge has to be the gorgeous deck, reached by elevated wooden walkway, where you can relax in a comfortable chair whilst enjoy the steady procession of game coming to drink at the waterhole beneath! The 3 Superior Suites are our top choice accommodation-wise – they’re spacious and quite luxuriously appointed for the price. We love the lodge’s atmospheric wine cellar, built into the natural rock – perfect for a wine tasting or romantic dinner! During the heat of summer, the private plunge pools of the Luxury Suites are a real winner! a real standout for us is the gorgeous wine cellar carved right into the stone of a natural rock cave – here you can enjoy tasting top South African wines or perhaps a romantic dinner! The arrival at Ezulwini Billy’s Lodge is different to the vast majority of lodges. Rather than schlepping from your vehicle down a pathway and eventually into the lodge reception, at Billy’s Lodge you’re literally deposited directly into the heart of the lodge’s main public area! It really is a nice way to arrive at the lodge in style, even if you’re just returning from a game drive. The other thing that really jumps out at you initially about the public areas at Billy’s Lodge has to be the wonderful viewing deck perched directly over an active waterhole. Reached via an elevated wooden walkway, this is the perfect spot to relax with an ice-cold drink whilst slouched in a comfortable chair and shaded from the heat of the mid-day sun as you watch the game come through to slake their thirst in the waterhole literally right next to you! Watching ellies cavorting in the mud or antelope delicately making their way to the water’s edge is an effortless affair! Ezulwini Billy’s Lodge boasts just 6 rooms and you need to make sure you know what you’re getting as they are divided into 2 different categories which are very different. The 3 cheaper Luxury Chalets are traditional rondavel-style rooms under thatch and whilst modernised and renovated still have that old fashioned classic bush feel with small outside decks as well as a lounge area. The 3 Superior Suites on the other hand are a completely different case entirely – much larger, more contemporary and luxurious, each boasting their own private plunge pools as well as indoor and outdoor showers. These Superior Suites would certainly be our preferred choice of lodgings but, as always, it ultimately comes down to budget of course! Stained-concrete floors, natural grass thatch roofing, rough stony walls and a darker palette of greys and subtle off-whites and browns evoke the bush outside but can make the rooms feel a little dark at times. All rooms come standard with tea and coffee stations and air-conditioning (let us tell you, those hot summer afternoons and nippy mornings make these a godsend) Deep chocolate leather sofas and dark, polished wooden furniture lend an air of cosy comfort. 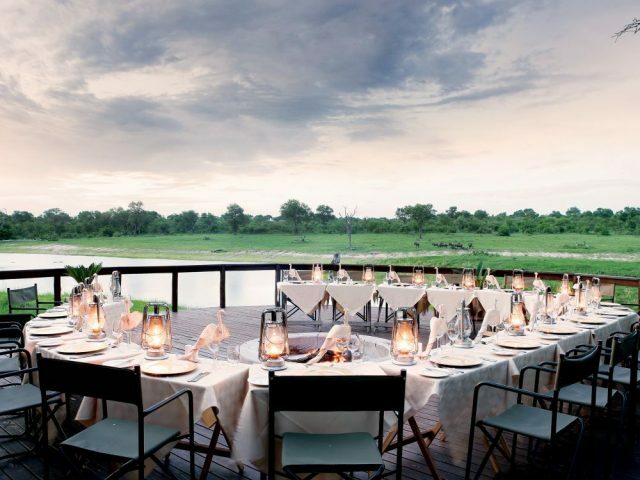 Whilst sister lodge Ezulwini River Lodge is located on the banks of the large Olifants River, Billy’s Lodge occupies a more open bushveld setting away from the main river and overlooking a sand river instead. The Balule Nature Reserve shares an unfenced border with the famous Kruger National Park. 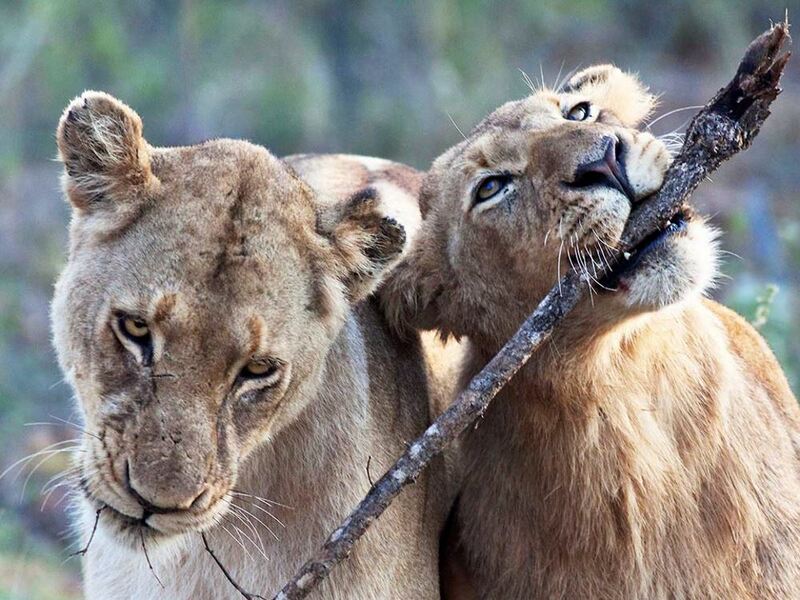 Animals roam freely between these two parks, giving guests at Billy’s Lodge access to one of the richest animal diversities in Southern Africa. Tracking down the members of the Big Five and the smaller critters of the bushveld is always a delight (leopards are, as always, the most difficult to spot), thanks in no small part to the brilliance of the rangers and guides at Billy’s Lodge. They’re polite, very friendly and armed with an encyclopaedic knowledge of the wild creatures and plants of the Balule reserve. The presence of more open grassy plains areas around Billy’s (much of Balule can be pretty mountainous) also seems to attract good numbers of plains game to the area around the lodge. Once you’re back at the lodge after your morning game drive you’ll probably fancy lying by the poolside or sitting under the shade of the incredible viewing deck that stands watch above the nearby waterhole. 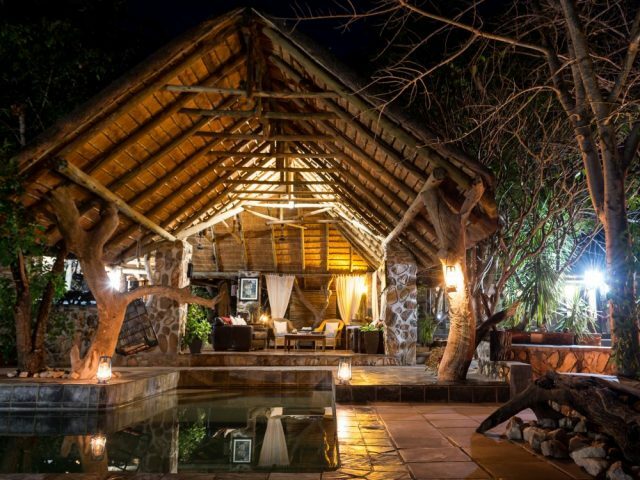 At night there’s a small open-air traditional boma with fire-pit to enjoy your meals in. But a real standout for us is the gorgeous wine cellar carved right into the stone of a natural rock cave – here you can enjoy tasting top South African wines or perhaps a romantic dinner!